In a departure from the norm this year's summer school took the form of a training course. 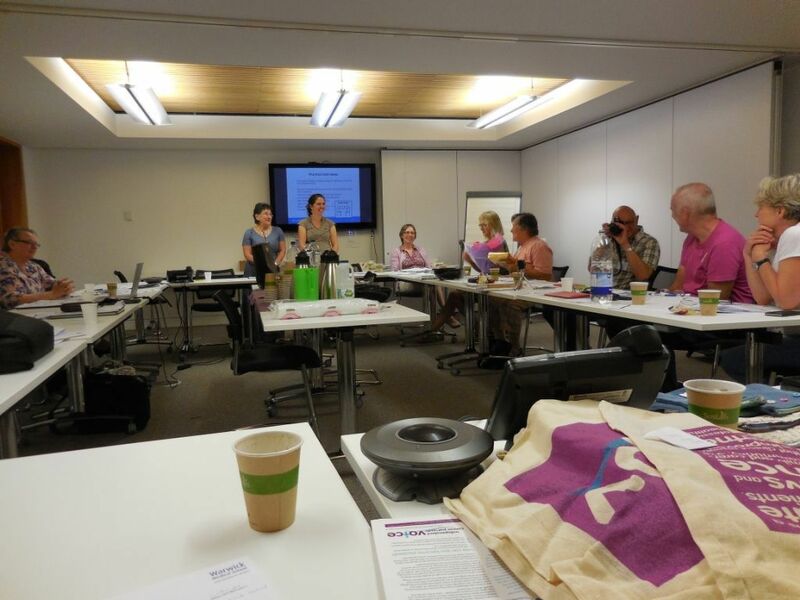 A number of ICPV and KSS (Kent, Surrey & Sussex) Cancer Partnership Research Group (CPRG) members were privileged to attend a training course for the Mammo-50 study at the University of Warwick, organised for us by Professor Janet Dunn and led by Professor Gillian Hundt and Dr Clara JØrgensen. 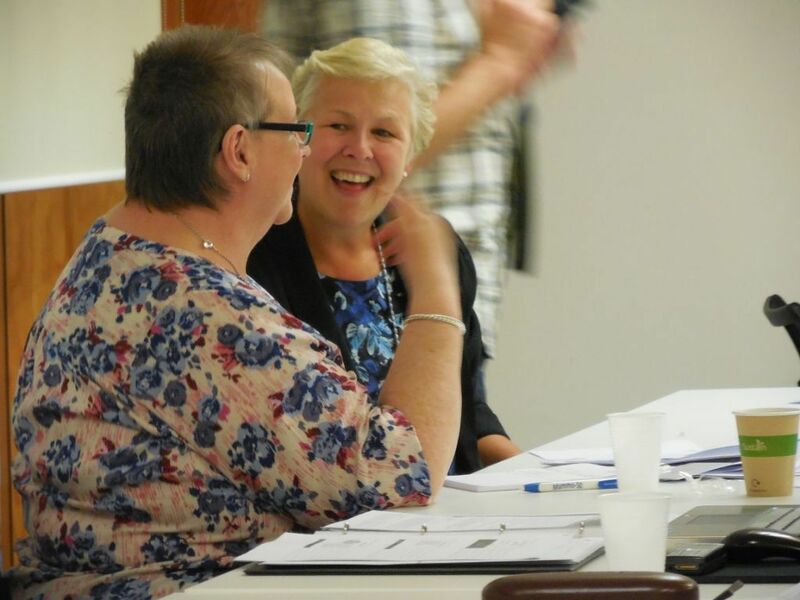 The course was both an introduction to qualitative research and its methods and practical work in peer interviewing and facilitating focus groups. It was held at the University of Warwick conference centre which provided us with top-class accommodation and food over the two day course. 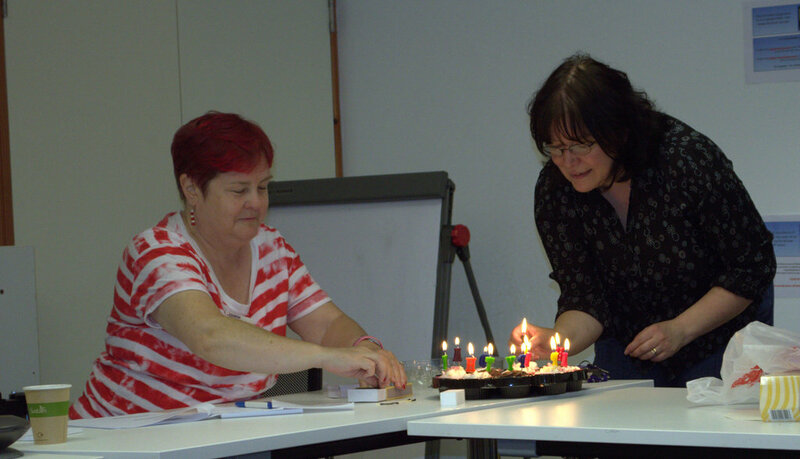 ICPV member Hilary Stobart has compiled an overview of the two days. Her report can be found below the slide show which shows the members at work and play. We have at last published a new edition of our review. This was achieved by a grant from Novartis. Click here for more information. Many congratulations to ICPV member Margaret Grayson. On 21 April 2018 she received the Iris Colvin Lifetime Achievement Award for Health, presented by the Women’s Forum of Northern Ireland. This is very well deserved for her tireless work in furthering cancer research especially in Northern Ireland. 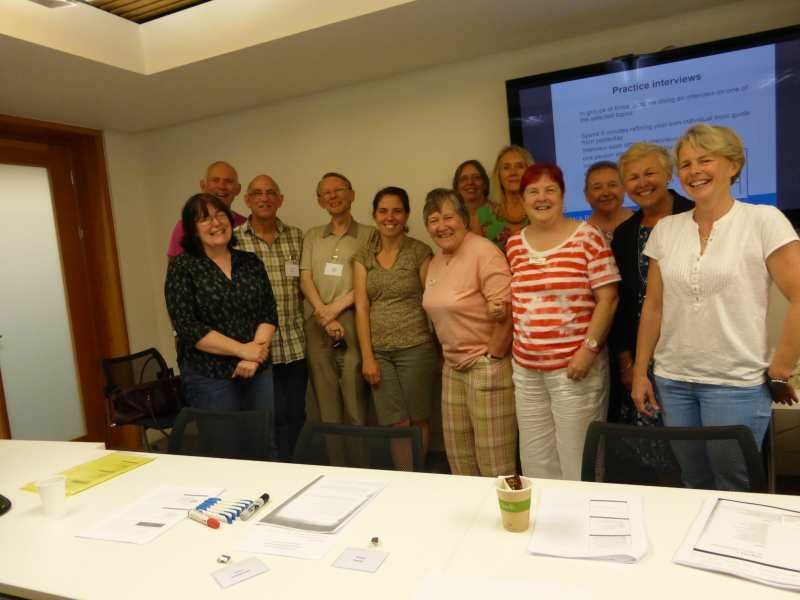 12 members of ICPV attended a residential Clinical Trials Course at the University of Warwick from 17th to 19th April 2018. 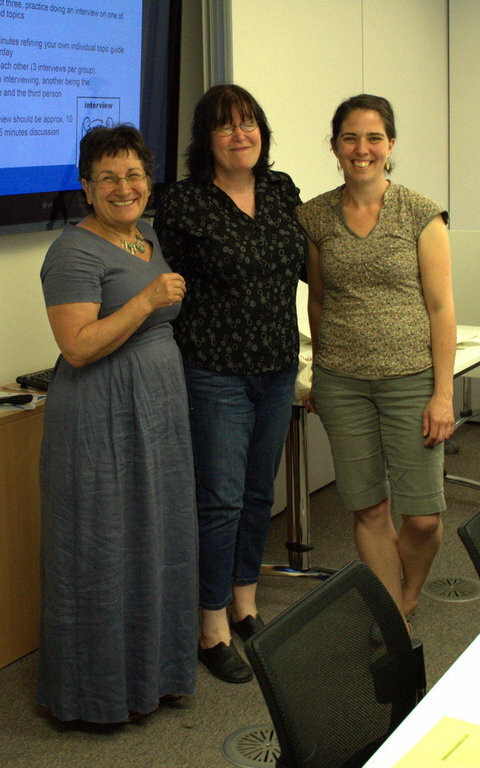 The course was run by Professor Janet Dunn and covered the different types of studies undertaken; consent; trial design; statistics and bringing a drug to market. One of the highlights of the course was a visit to the West Midlands Surgical Training Centre where delegates had the privilege of seeing real body parts and having basic anatomy explained to them by the team. The delegates would like to thank Professor Janet Dunn for her outstanding enthusiasm and for her generous hospitality. ICPV have come together with 18 other cancer charities to put our names to an open letter to Government. We want Government to prioritise seeking continued alignment with the EU drug licensing process and Clinical Trials Regulation after Brexit. It is hoped this letter will be published in the national press in the near future. The 2017 ICPV Summer School was held over two days in June at Stirling University. The theme of the event was Cancer Survivorship and Living Well Cancer. Click below for details of the course. More details. 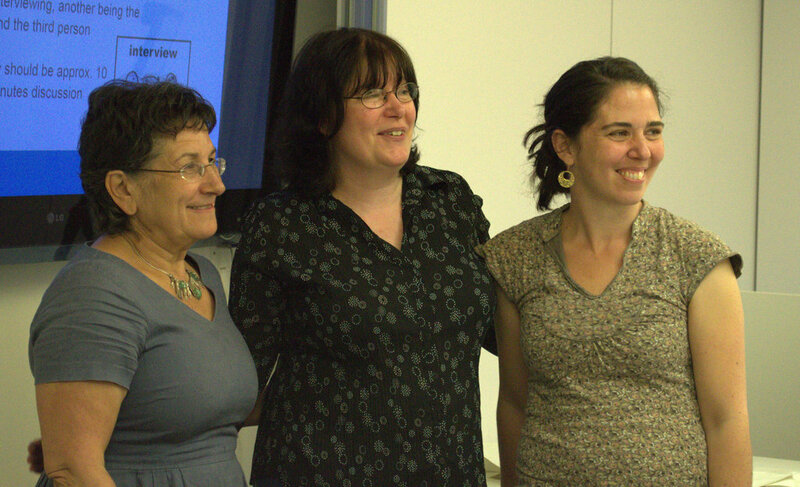 At the BACR/ECMC conference in July Maggie Wilcox and Mairead Mackenzie were persuaded to speak to the camera. Maggie gave a background to ICPV and our aims and objectives. While Mairead focused on her specific interests and activities. To view follow the links below.